The Migrant Leaders Club and Underground Writing - At the boarding gate in Seattle, heading for New York City! The Migrant Leaders Club and playwright, Quiara Alegría Hudes - Audience talkback after seeing Quiara's new musical, Miss You Like Hell at The Public Theater in New York City. Underground Writing and the Migrant Leaders Club have been collaborating together for 3 years (a few of our photos), inspiring students in the Skagit Valley of Northwest Washington. 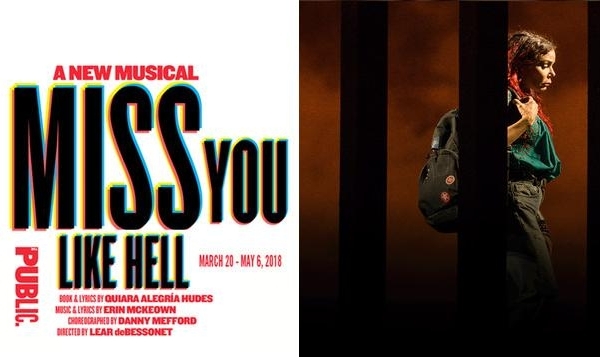 As a result of two anthologies of student writing--one from each program--and an additional partnership with Pulitzer Prize-winning playwright, Quiara Alegría Hudes, fifteen high schoolers from the Mount Vernon Migrant Leaders Club and four teachers are traveling from Washington to New York to speak at the new musical, MISS YOU LIKE HELL. We at Underground Writing are raising funds to help cover the traveling expenses of the filmmaker documenting this trip and the stories of the migrant students. The produced film will be used by Underground Writing, the Migrant Leaders Club, and playwright Quiara Alegría Hudes in their further efforts to see a transformed community. The brief podcast below gives an overview of the trip. Please listen, and consider helping fund our filmmaker's trip via the "Go Fund Me" campaign. Click here to visit the Go Fund Me page.